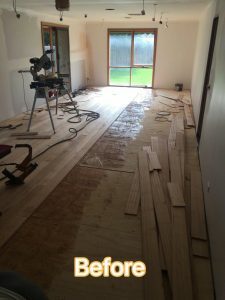 Solid Timber Flooring remains to be a popular choice for interior design. Strip flooring or tongue and groove hardwood floorboards are one of the most traditional styles of wooden flooring. 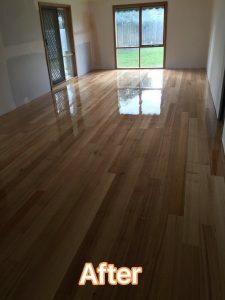 Hardwood floorboards come in many sizes, widths and thicknesses that can be top nailed to flooring joists or secret nailed, or the more modern day application of directly glued to your concrete floor base (overlay timber flooring) Timber floors are also graded according to the appearance of natural markings or imperfections in the timber. Your hardwood floorboards come in many species and colour variations, along with your choice of coating to compliment your surrounds, our showroom has many samples and ideas on display.